Welcome to the 5th NWB:N Hackathon! Please register a user in the Girder web data sharing instance and add your publicly sharable data to the NWB Hackathon 5 sharing folder. Registration for in person attendence is CLOSED Deadline was March 2nd, 2018. Registration for remote attendance is still open (see below). Please contact Oliver Ruebel oruebel@lbl.gov in case you have questions. Other Guests: This event is invitation-only. If you have not received an invitation but would like to attend then please contact Oliver Ruebel oruebel@lbl.gov. NOTE: We expect that significant portions of this event will be involve hacking/coding on problems and working on projects. Remote attendance is for the talks and tutorials only! Local attendance is required in order to actively participate in hacking and project sessions. Hotel: A block of 15 rooms has been reserved at the LBNL Guest House for this event for April 25-27. For details on how to reserve your room see here. Availability of rooms is limited. Please reserve your room 30 days prior to arrival. Lawrence Berkeley National Laboratory (LBNL) is located in Berkeley on the hillside directly above the campus of the University of California at Berkeley. The Labs address is 1 Cyclotron Road, Berkeley CA 94720. To make LBNL easily accessible, the Lab has its own shuttle service that takes people around the site and to downtown Berkeley and the BART station there. 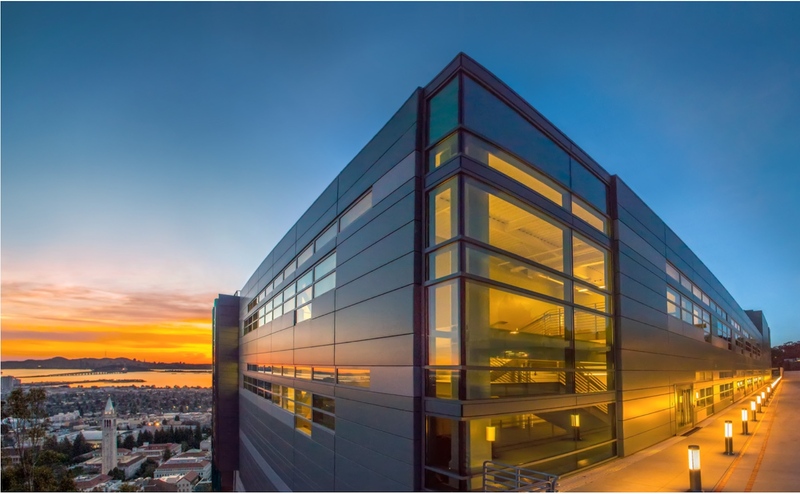 Getting to LBNL: Detailed instructions for how to get to the Lawrence Berkeley National Laboratory campus from the San Francisco Internal Ariport and the Oakland Internal Airport are available here. Car: Parking is available to all guests of the LBNL Guest House. 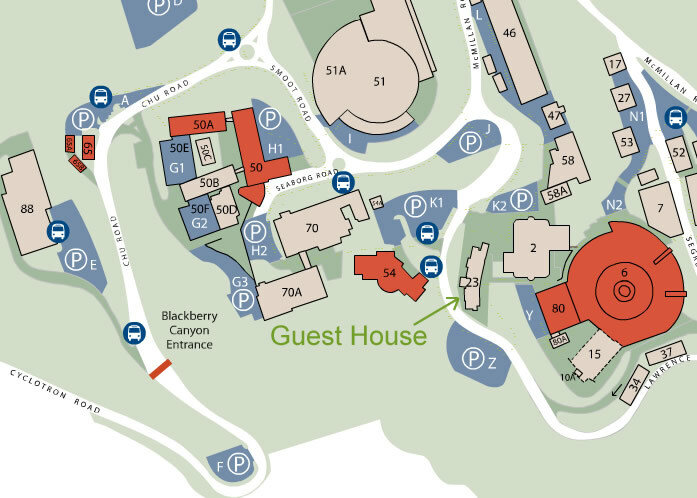 Guest house parking is located directly across from the LBNL guest house (Parking Lot Z in the below map). For attendees staying at offsite locations, parking spaces are difficult to find at LBNL and if you need to park onsite then additional reserved parking must be requested 2 weeks ahead of the meeting. The Neurodata Without Borders: Neurophysiology project (NWB:N, www.nwb.org) is an effort to standardize the description and storage of neurophysiology data and metadata. NWB:N enables data sharing/reuse and reduces the energy-barrier to applying data analytics both within and across labs. 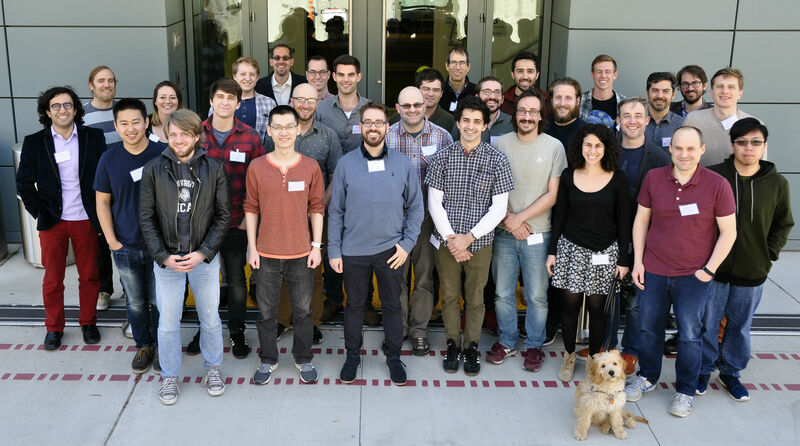 Several laboratories, including the Allen Institute for Brain Science, have wholeheartedly adopted NWB:N. The community needs to join forces to achieve data standardization in neurophysiology. This hackathon event invites experts from the neuroscience community to explore adopting NWB:N for their data sharing needs and lab use cases. The goal of this event is to a) train new users on NWB:N, b) promote adoption of NWB:N, c) work with users on programming projects, e.g, to integrate examples of their labs data into NWB:N, d) facilitate communication between users and developers and project teams, and e) engage with the community. We are planing to have this be a full-day event for both days (April 26 and 27), starting at ~8am in the morning and ending at ~6pm in the evening. Further details will be announced here as they become available. The agenda is work in progress! Stay Tuned. We will use Zoom for remote attendance. For information on how to get started with Zoom see here.